Whether via email, by phone, or in-person at the dealership — Sewickley Porsche is here to provide you with an unrivaled Porsche experience. 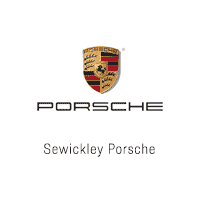 At Sewickley Porsche, our massive inventory includes over 60 new Porsche models along with more than 80 pre-owned vehicles. Interested in a Certified Pre-Owned Porsche? We have an extensive selection making it simple to find the Porsche of your dreams. Our team of friendly and knowledgeable Porsche Brand Ambassadors will work alongside you from start to finish to help you choose the perfect Porsche. Once you’ve found the right Porsche, our staff of Porsche Financial experts can tailor the right lease program or secure the ideal retail financing loan to help make your dreams into a reality. In order to accommodate your individual driving needs and habits, our team has access to the latest Porsche specials, incentives, and offers to help get you behind the wheel. With a fully modernized Porsche Service Center equipped with state-of-the-art diagnostic tools, repair equipment, and 10 dedicated services bays — Sewickley Porsche is your destination for top-tier Porsche service. Our staff of factory-trained Porsche technicians will use Porsche Genuine Parts to help keep your vehicle operating at peak performance.